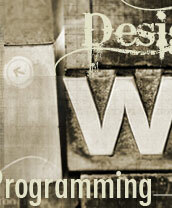 Paragon Technology Services is Western Colorado's premier web design and programming firm. 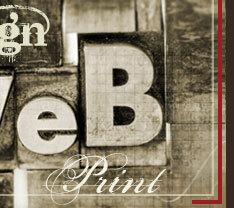 The golden rule of website design is to give visitors a reason to keep coming back. Slick layouts, optimized graphics, and relevant content make a great first impression. But if nothing changes during the next visit, users will look elsewhere for new information. Site content that you can manage yourself is just the ticket. Even better is content that automatically alters itself based on user input or stored user preferences. Are you ready to take your website to the next level? "I thoroughly enjoyed working with the team at Paragon to develop our new website. I truly appreciate the professionalism, creativity, and responsiveness of everyone in your company!" "I would recommend Paragon to anyone who wants a top quality look that will capture the heart and soul of your business." "These folks know what they are doing. They have had a huge and positive impact on our business. Thank you Paragon Technology Services! " Michael O. Brickell | CEO, Media Positive Communications, Inc.
"The flexibility you have given us with the ability to edit, add pdf's, email links, etc. is just ideal for our situation with the constant changes at our organization. Thank you to you and your team for all your hard work and dedication to this project." "I would highly recommend Paragon to any organization. Great programmers, honest people, and wonderful, consistent service that you can count on. " Thom Seagren | The Christian Connector, Inc.